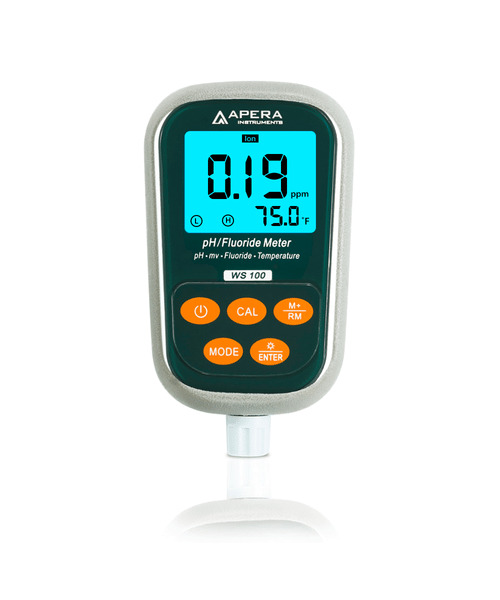 The WS100 Fluoride/pH Portable Meter Kit is designed for accurate and reliable measurement of fluoride, pH, ORP (probe sold separately), and temperature altogether. 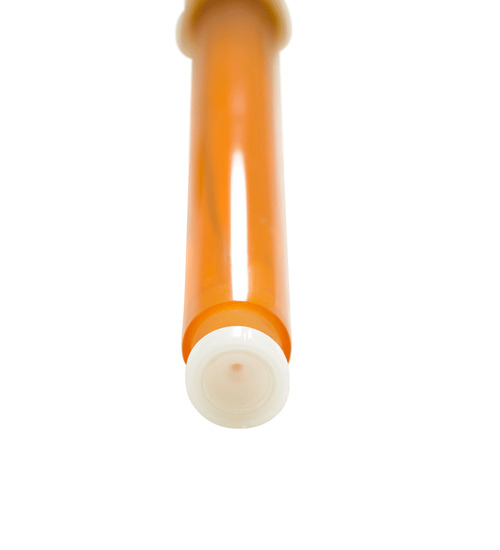 The patented 3-in-1 Fluoride Ion probe is composed of an ion electrode, a reference electrode, and a temperature electrode, generating reliable readings with stable potential and fast response rate. Range: 0.02 ppm to 1900 ppm; Accuracy: ±0.02 ppm, or ±5% of reading (whichever is greater). Rugged design with IP57 water resistant rating, and a silicon case, which gives you a firm grip. 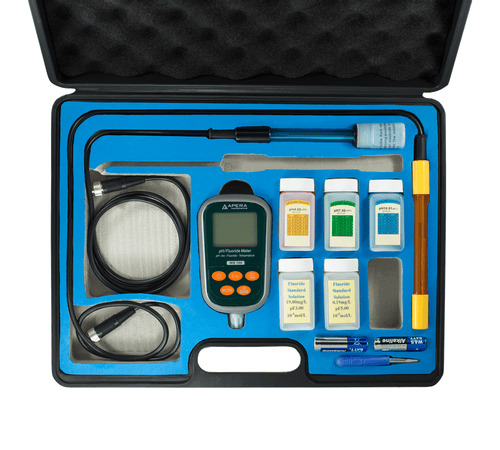 What's in the kit - WS100 Meter*1, F501 3-in-1 Fluoride Probe*1, 201T-S Combination pH Electrode (ATC), Fluoride Ion calibration solutions (0.19mg/L and 19.00mg/L, 50ml for each), pH calibration solutions (pH4.00, pH7.00, pH10.1, 50ml, one for each), screw driver*1, back up batteries*3, instruction manual, and a portable case. We warrant this instrument to be free from defects in material and workmanship and agree to repair or replace free of charge, at the option of APERA INSTRUMENTS, LLC, any malfunctioned or damaged product attributable to the responsibility of APERA INSTRUMENTS, LLC for a period of TWO YEARS for the instrument and SIX MONTHS for the probes from the delivery.